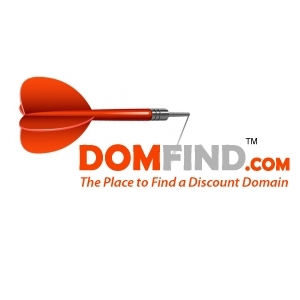 Over the years DomFind has helped many, many amazing clients find domain names for any number of reasons. We can tell you about all the ways we helped but we figured that you would want to hear from some of the clients we’ve helped in the past. If you’re a past customer of ours and would like to talk about your experience, we’d love to hear from you. Please just drop us a line and we’ll be adding you to past customer wall of fame! We’d also like to know what you were doing with the domain names you found on DomFind. For example if you launched a website for your business, started a personal blog, started an online community, we would love for you to tell us about it. DrHobby.com is an adaptable, clear and cool dot-com domain name. The name is spelled: D-R-H-O-B-B-Y with .com added. The domain is seven characters in length. The shorter the better — so 7 characters makes DrHobby.com a highly desirable domain name. DrHobby.com does not contain hyphens, numbers or special characters. The domain is easy-to-pronounce and extremely brandable. DrHobby.com is a dot-com TLD (top-level domain). This dot-com has a strong global appeal. DoveNation.com is a strong and cool dot-com domain name. The name is spelled: D-O-V-E-N-A-T-I-O-N with .com added. The domain is ten characters in length. The shorter the better — so 10 characters makes DoveNation.com an excellent domain name. DoveNation.com does not contain hyphens, numbers or special characters. The domain is clear and very brandable. DoveNation.com is a dot-com TLD (top-level domain). The dot-com domain is adaptable and can be used in many markets. LuxurySeal.com is a really unique, memorable and cool dot-com domain name. The name is spelled: L-U-X-U-R-Y-S-E-A-L with .com added. The domain is ten characters in length. The shorter the better — so 10 characters makes LuxurySeal.com an excellent domain name. LuxurySeal.com does not contain hyphens, numbers or special characters. The domain is highly memorable and extremely brandable. LuxurySeal.com is a dot-com TLD (top-level domain). This dot-com has a strong global appeal. SpiralGene.com is a bold domain name available to buy now. ShopInfertility.com is a fun and whimsical domain name available to buy now. EdRefills.com is a fun and whimsical domain name available to buy now.